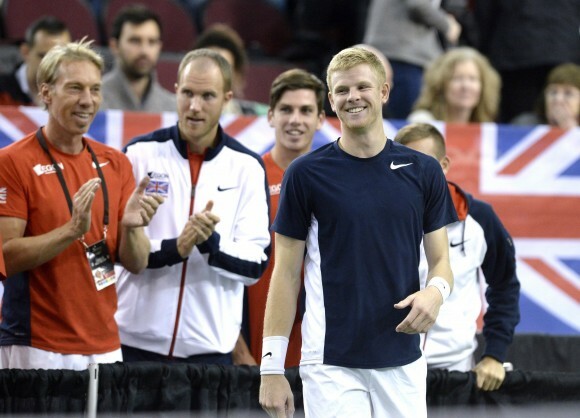 OTTAWA—Great Britain beat Canada in an outstanding Davis Cup tie that came down to the decisive fifth rubber on Sunday. 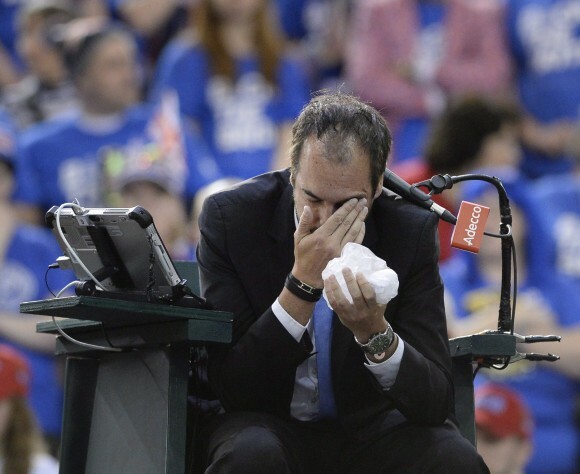 Unfortunately, the match ended abruptly when 17-year-old Canadian Denis Shapovalov got defaulted for firing a ball in frustration that hit umpire Arnaud Gabas in the face. He was down two sets and had just been broken. He meant to fire the ball into the crowd, but it all went horribly wrong. But the rules of tennis are unequivocal. “I went back and spoke to the referee after I apologized directly to him and luckily he was OK, but obviously it’s unacceptable behavior from me,” Shapovalov said in a brief statement after the match. 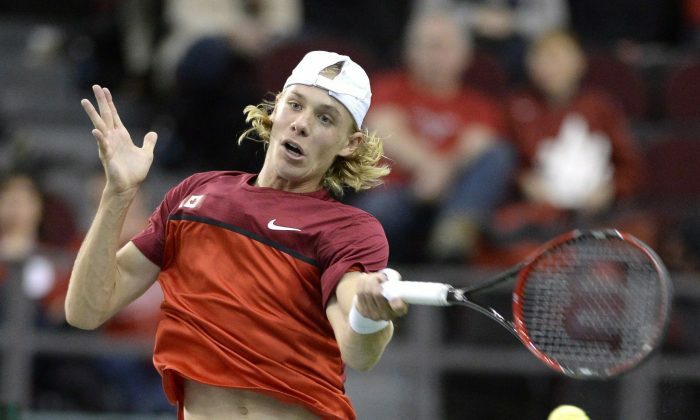 Canadian Davis Cup captain Martin Laurendeau said he had never seen that happen in the competition in all his years’ involvement, but that it’s a learning experience for the young Shapovalov. Aside from the moment of madness from Shapovalov, this tie exemplified Davis Cup tennis. Both teams played without their top players, but that didn’t diminish the intensity of the competition. It was always unlikely that Canada’s world No. 4 Milos Raonic and Great Britain’s world No. 1 Andy Murray would play with the tie coming so soon after the Australian Open. I just feel awful for letting my team down, for letting my country down. The draw for the tie was held on Thursday, Feb. 2 at Parliament Hill—a fitting place, given the parliamentary system of both country’s governments. “It’s really grand in here, a new experience for us,” said Great Britain’s Jamie Murray. Mayor Jim Watson said he was very proud that Ottawa was hosting Davis Cup against Great Britain as Canada celebrates its 150th anniversary. “This is also the very first Davis Cup World Group to be ever hosted in the province of Ontario,” he said. The World Group is the top level of the competition, which Canada has been a part of for the last six years. “We passed a special bylaw, we’ll accept the British pound at par,” he joked. The tie also drew one of tennis’s most well-respected tournament referees in Brian Earley. He was the referee for the last tie in Ottawa and is in his 25th year as U.S. Open referee. “You can take the rankings and throw them out the window,” Earley said about the dogfights that Davis Cup ties turn into given the raucous home crowd support. And that rang true for Pospisil’s matches. Appropriately, for Canada hosting an international tennis competition, the court was set up in a hockey arena. The Arena at TD Place is normally home to junior hockey’s Ottawa 67’s, who moved to the NHL Ottawa Senators’ home at the Canadian Tire Centre to play their weekend games. The Davis Cup tie, played over a weekend, consists of two singles matches on Friday, doubles on Saturday, and the two reverse singles matches on Sunday. The country to win three of the five matches moves on. In the first match, Great Britain’s Daniel Evans had his way with Shapovalov, only having to face two break points in the second set. “It was quite an atmosphere and I got a little bit tight at the start,” Shapovalov, ranked No. 234, said. Vasek needed this kind of weekend. The Brits had a solid contingent of fans sitting right behind the team bench aread. Decked out in their “Barmy Army” hockey jerseys prepared just for this occasion, red caps, and flags, they were on a mission to support their heroes amid a strong pro-Canada crowd. Pospisil downed Edmund in three sets in the tie’s second match. Pospisil’s ranking has dropped to 135, but he’s reserved some of his best tennis for Davis Cup. “I fed off the crowd,” he said after the match. The crowd also fed off Pospisil who kept urging himself on with his self-belief at its apex. When they say Davis Cup is the “World Cup of tennis,” the usually polite crowds take on a fervor associated with international football matches. Doubles can take a distant back seat to singles in regular tour tournaments, but it plays a pivotal role in Davis Cup. It is the only match played on the Saturday, which makes it exciting for the players, said Murray. “There’s such a large amount riding on doubles and the crowd feel that,” added Murray’s partner Dominic Inglot. The doubles match marked the 50th time Daniel Nestor has represented Canada in Davis Cup. The 44-year-old doubles specialist has won all four doubles grand slams and began his Davis Cup career in 1992 with a win over then world No. 1 Stefan Edberg. The key to winning the tie was Great Britain winning a very competitive doubles match to take a 2–1 lead. That meant Canada would have to win both Sunday singles matches to win the tie. Pospisil put on a show as the two top singles players faced off. The 26-year-old from British Columbia beat Evans in a hotly contested match 7–6, 6–4, 3–6, 7–6. That was definitely the loudest atmosphere that I’ve played in ever. It was a riveting contest with ups and downs, raging crowd noise, and terrific shot-making. Pospisil, who had been battling knee, back, and quad issues, said he thought it was 50–50 that he would play when he woke up in the morning. The arena crowd boosted him to victory. “That was definitely the loudest atmosphere that I’ve played in ever,” Pospisil said after the match. 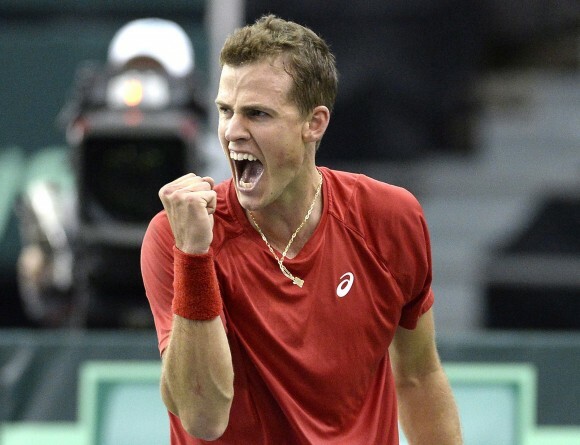 Davis Cup is about giving your all and Pospisil knows just what this means. He won the decisive fifth match against Japan in 2015 and in 2011, he won all three matches he played against Israel. “He played well, the crowd carried him through, he fought hard,” Evans said. Pospisil pushed the tie to the limit, but Edmund was well on his way to the win in the decisive fifth match when Shapovalov made his grave mistake. “You want to win, just the tennis, and win three sets,” Edmund said. “But I was happy the way I was playing. I was in the zone, playing really well. “It is strange, just unfortunate,” Edmund said about the default. Canada’s Davis Cup team made its mark in the World Group in 2013 when it reached the semifinals. That year, Milos Raonic reached the top 10 for the first time, Pospisil spent the latter part of the year in the top 50, and on the women’s side, Genie Bouchard established herself as a top-100 player. Tennis’s popularity has soared in Canada over the last few years and even if the results didn’t go its way in the nation’s capital, Canada can say it is a tennis nation. According to as survey conducted by Tennis Canada last year, tennis ranks sixth among all sports in terms of interest and 6.5 million Canadians played tennis last year, an increase of 14 percent from 2015. Tennis Canada reported that the attendance of 6,692 on Friday was the largest-ever to attend Davis Cup in Canada on one day. That record was broken on Saturday when 7,023 came to see the doubles. It was re-broken on Sunday when 7,497 attended. Those numbers may not sound like much, but for a small, intimate arena, with fans banging drums singing soccer-style chants, and even the odd cowbell, it created a raucous atmosphere for the tie. “The crowd was just unbelievable,” Laurendeau said on Sunday. “The fans turned out and they were so supportive. Canada must beat an opponent that will be determined in April in order to stay in the World Group, while Great Britain moves on to face France in the quarterfinals, which will also be played in April.